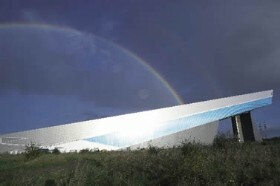 The recent opening of Chill Factore in Manchester, UK marks the successful completion of Tyco Flow Control�s third project with refrigeration specialists, Cryotech. A range of Keystone valves and actuators, chosen because of their certification to operate at temperatures as low as -15.5 degrees C, are at the heart of the UK�s biggest indoor, real snow Alpine Ski Village. The package of nearly a hundred Keystone valves comprises F320 butterfly valves controlled by Premitork electric actuators, F40 commissioning valves and F85 check valves. Some are fitted with EPDM seats to suit the glycol water mix in the cooling circuits. The products perform an important role in the operation of the blast coolers which are positioned around the slopes. At night, when the ambient air temperature within the closed complex is lowered to -6 degrees C, a mixture of compressed air and chilled water is fired into the air which then falls as snow. During the day when the centre is open the temperature is maintained at around -1.5 degree C. Typical snow depth on the slopes is around 400mm. Tyco Flow Control was able to document the products� compatibility with low temperature operation as a matter of course � something that a number of other potential suppliers were unable to do. Refrigeration specialists Cryotech Systems Ltd are based in Derby. This �31m development, will include the UK�s longest and the world�s widest real snow indoor ski slope (180 metres long and 100 metres wide at the base), as well as a climbing wall, a cresta-inspired luge run and a children�s winter wonderland. Austrian craftsmen have advised on styling in the Alpine village, which has been designed to appeal to the widest range of visitors. Proficient skiers and snowboarders looking to brush up their technique, beginners seeking tuition and a first time experience, families wanting a weather-reliable alternative day out and people simply wanting to relax and socialise in a unique setting will all find just what they are looking for. 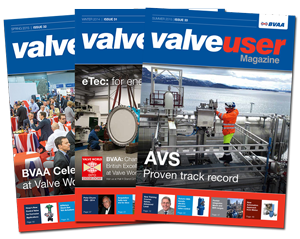 Leeds Valve at OTC, Houston An overview by Leeds Valve MD Steven Heap.